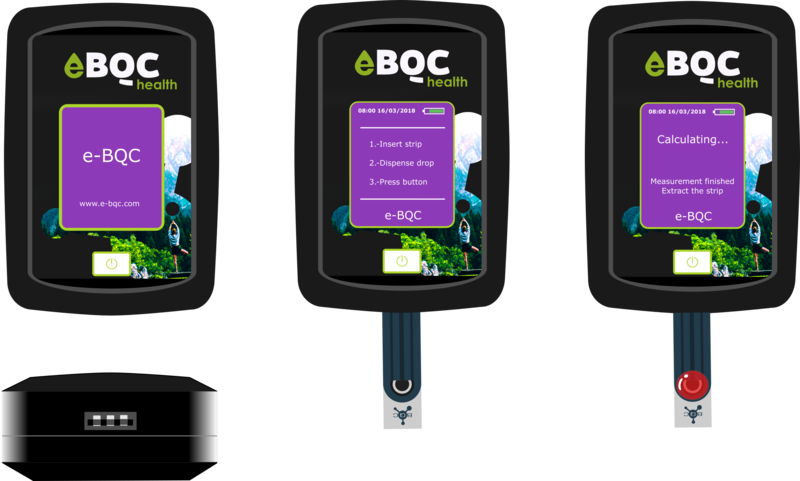 e-BQC health is a portable device, patent pending, designed to measure, in a direct way, the antioxidant capacity of capillary blood. The result is obtained in less than a minute and with only one drop of sample. Antioxidant capacity is an overall ability of organisms or food to catch free radicals and prevent oxidative stress, with its harmful effects. Oxidative stress, understood as a misbalance with an increase of the pro-oxidant substances faced to the antioxidant defenses of our body, is implied in the development of a lot of illnesses as well as being related to aging principal effects. e-BQC health can differentiate between fast and slow acting antioxidants present in blood, such as endogen antioxidants that the organism synthetizes to reduce oxidative stress and exogen antioxidants taken from food, beverages or supplements. Antiaging, wellness, diet and nutrition…are some of the e-BQC applications. For an adequate medical prescription for an antiaging treatment, it’s necessary to know some parameters, like oxidative balance. These tests traditionally cost a lot of time and money. Furthermore, they need to be performed by professionals with analytical laboratory equipment, and indeed the procedures are by themselves complex and expensive. 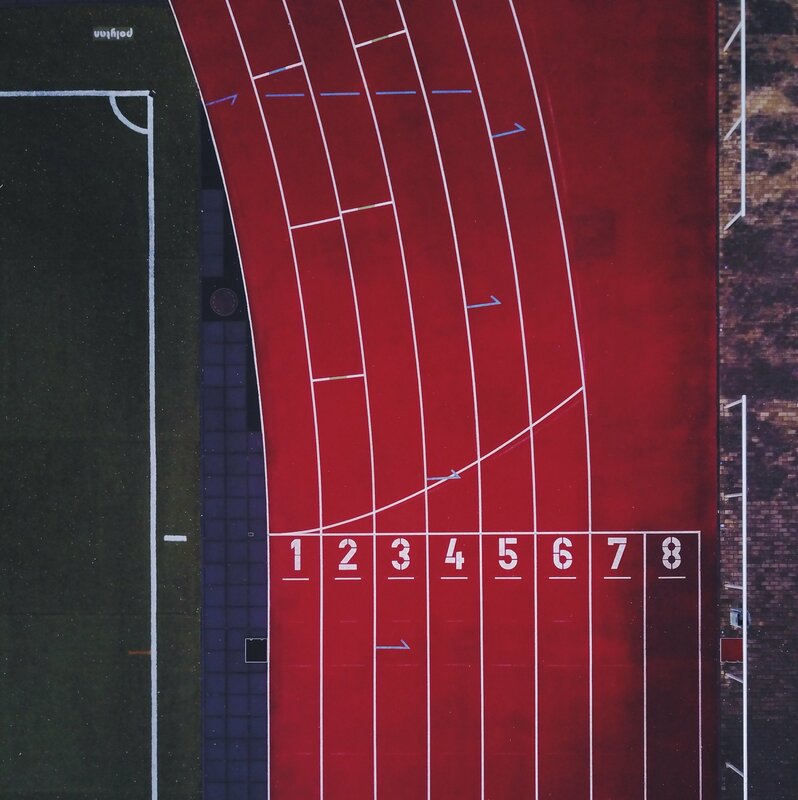 In contrast, e-BQC device supposes a precise and short-time, as well as cheap and easy to use, alternative for antioxidant capacity measures. It can be done simply with a perferical capillary blood drop (which means a painless method by a little puncture on the finger) on a single minute, so it allows having the results at the moment. That is why the best way to counteract the action of free radicals and thereof the harmful effects of oxidative stress is to provide the necessary antioxidants, with an adequate intake of antioxidants in the diet. Why should I use e-BQC health? e-BQC VALUE: easy to interpret the results. QUICKNESS: The result is obtained in less than a minute what saves a lot of time. SIMPLICITY: No need for a laboratory. You will only need one device for all your antioxidant capacity measurements. EASY-TO-USE: no specialized personnel required. PORTABLE: time-saving. Portable device to make a quick and easy measure anywhere. How does e-BQC health work? e-BQC is a small device that works with low-cost fungible strips. Insert an e-BQC disposable strip into the slot located on the Front Panel. Drop the sample onto the disposable strip, covering the electrode. Press the button in order to start to measure. What is eBQC health based on? 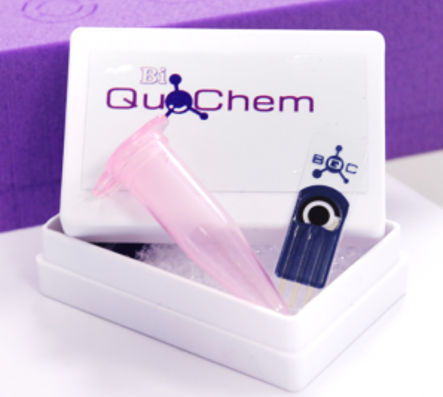 It is based in a REDOX potential measure, that is expressed in micro-Coulombs (µQ). 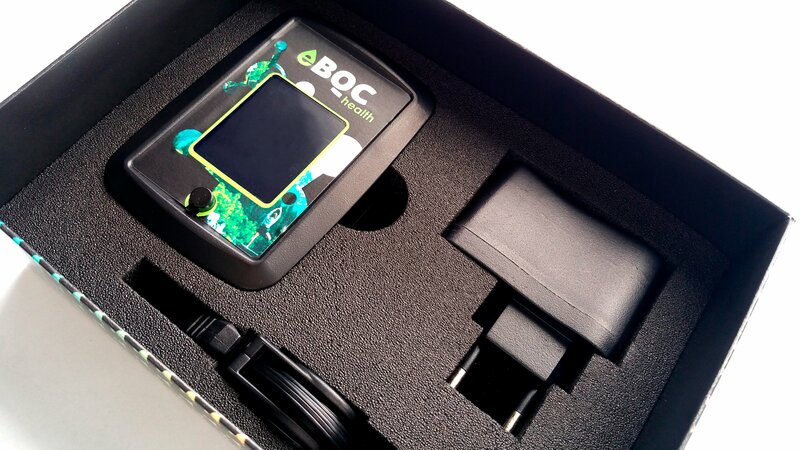 e-BQC health is a hand-held single-technique customized Potentiostat for use with disposable strips. It contains a microprocessor which controls the potential applied to the sensor and measures the current through the sample. Q1: Refers to the antioxidant capacity of the compounds with the highest rate of free radical scavenging, fast antioxidants. Q2: Refers to the antioxidant capacity of the compounds with a lower rate of free radical scavenging, slow antioxidants; and QT (the sum of both). After calculating the values of Q, the device, through a complex mathematician algorithm, ponders those results giving more value to the most powerful antioxidants. These give us three new values, transformed into BQC scale values: BQC Fast (calculated from Q1); BQC Slow (calculated from Q2) and e-BQC value. 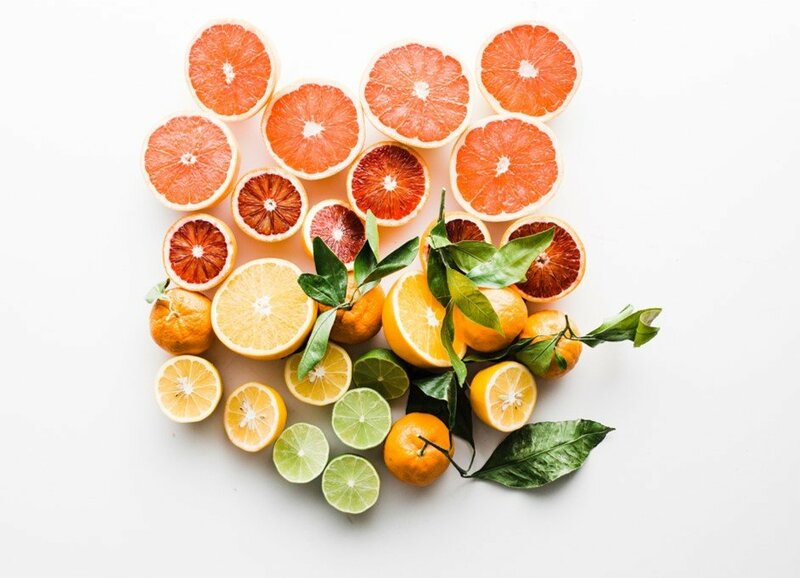 BQC value is the average of both values, taking into account the different influence of Q1 and Q2 antioxidants in the total antioxidant capacity measured. Consequently, the higher the value of the intensity, the more molecules are oxidized to the potential. Therefore the sample has a greater antioxidant capacity. This results in a greater resistance to oxidation.